The Fiji Airways Fijiana has won its two pool games at the Oceania 7s currently underway at ANZ Stadium in Suva. The Alivereti-Doviverata-coached side thumped New Caledonia 46-5 in their second pool match this afternoon. The side earlier defeated Cook Islands 21-7. 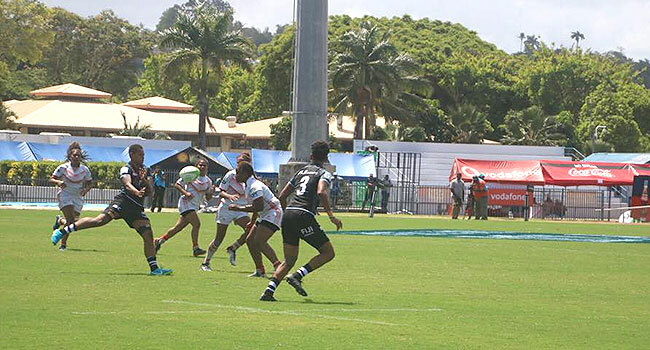 The Fijiana 7s side faces New Zealand in its final pool game at 5.39pm. The Black Ferns have also won two matches beating New Caledonia 45-nil and beating Cook Island 31-nil. In the men’s division, Samoa defeated Tuvalu 43-nil, New Caledonia beat Nauru 41-14 and PNG thumped Solomon Islands 37-nil.